Adorable hearts that sparkle and shine with every move. 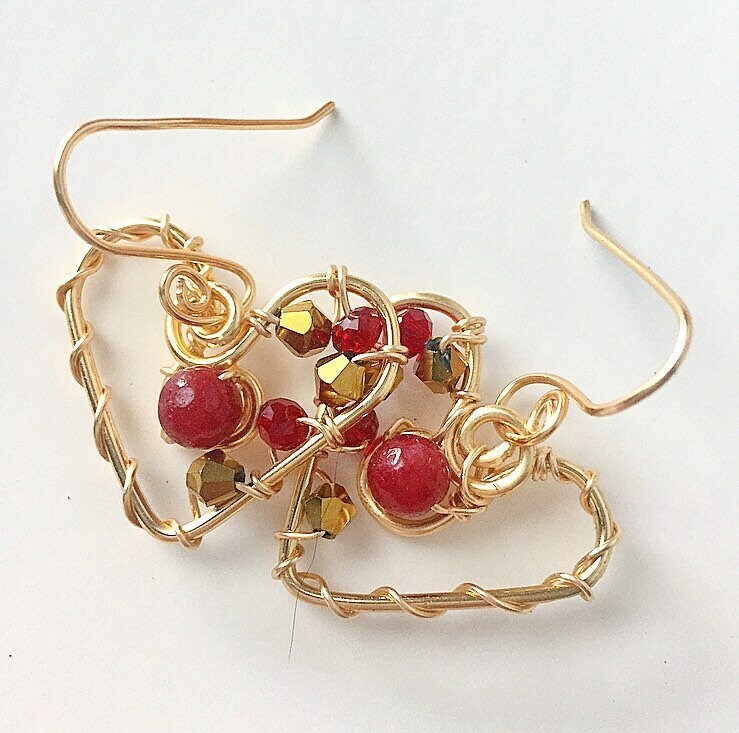 Hand formed golden hearts are accented with glass crystals and a ruby bead. Free domestic shipping through 2/14/19.